See Your Net Worth – You can link all of your accounts for a complete picture of your net worth. 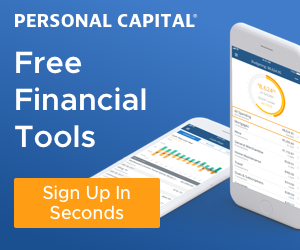 Analyze Your Investment Portfolio – You can use free tools to analyze your investment. It will also give you advice on asset allocation and ways to improve your gain. Retirement Planner – This is what I think is the most powerful feature of the application. You can use the Retirement Planner Calculator to see how you are doing with your retirement preparation. Are your investment earning enough? Are you saving enough annually? Mint.com – This is another great finance application. I use mint mainly for my MONTHLY BUDGETING. It is also great for bill tracking and seeing your monthly cash flow. I link my checking, saving, mortgage, credit cards, 529s, and student loan accounts to mint. It is useful to see how much extra money I have left per month. I usually split the left over money between my student loan and my taxable investment account.